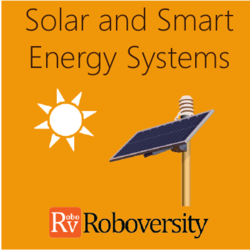 The Roboversity Winter Training Program on Alternative Energy imparts comprehensive practical knowledge about renewable energy sources. The course covers the fundamentals of various types of alternative energy sources and associated applications. The training focuses on working projects relating to smart lighting systems and solar-powered mobile charger development. This equips participants with application-based proficiency on alternative energy sources.